In light of this being Emlee Taylor’s last post, we want to say a special thank you for all of her words of encouragement, pieces of advice, and above all, her testimony of the Savior. We are so grateful to have had Emlee with us these past three years, and we’ll miss her deeply. Best of luck in your future endeavors, Emlee! 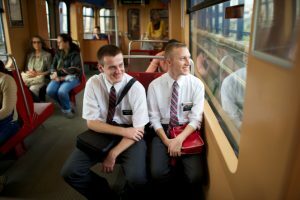 As our missionary wraps up the final weeks of his mission, he and I have written about the lessons learned over the previous two years. Our missionary has really learned to communicate and form lasting friendships with his peers. As a missionary, his companions have represented a wide variety of personalities and diverse backgrounds. Getting to really know each companion and coming to love them through serving together has increased our son’s ability to understand and have compassion for another’s perspective. As the oldest of our four children, he was used to always being right … being a missionary companion helped him to learn that there are many, many ways to handle situations! And the best way to reach a solution was often to start by simply listening to the other person’s perspective! Our family has learned that LOTS of people are watching us as members of The Church of Jesus Christ of Latter-day Saints! 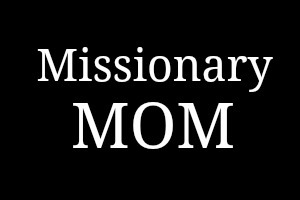 At least once a week, someone will ask about our son’s mission. There’s Paul at the post office, who has come to know us well after he helped me to figure out how to safely post our son’s violin! (Hint: LOTS of packing material!) Then, there are the countless teachers and parents who knew our missionary during his growing up years that stop us during school events to ask after him. Just last weekend, our next-door neighbors came over for pizza and games and the mother laughingly confessed that she’s already started a Pinterest board with ideas for our son’s homecoming! She is so excited to see how he’s grown and anxious to be a part of welcoming him home! Such love for our son is deeply appreciated! I have been humbled to see the impact our son’s choice to serve has on those not of our faith. His personal choice has influenced so many people who have expressed how impressed they are that a young man of his age would do something so selfless. They share how they started serving in the community more because of his example. People stop us to ask how we could bear to let him go, and we’ve been blessed to share our testimony of how it has blessed him as a man of God to have this opportunity! There is joy in his service. But there are still moments when I miss him so much that the tears come. My precious son has become a man in the last two years and I have not been there by his side, photographing every moment! (BTW, missionaries, PLEASE send more pictures home!) I know there have been moments of incredible pain and soul-searching that our son had to do alone, without either mom or dad there to comfort or counsel … it is part of the journey to adulthood … but, OH! I do wish I could have been there to hold him during the lonely moments of his mission, because he was never far from my heart, despite the miles apart. Perhaps Heavenly Father feels the same for each of us, knowing that we have to go through these mortal experiences in order to grow into the children He wants us to be, yet still wanting to comfort our hearts when we are struggling. Perhaps He sent us the Comforter, the Holy Ghost, because He knew how much we would need comfort here in mortality. In my personal desire to feel closer to our missionary, I spent much more time teaching and feeding our local missionaries than before. We have been so richly blessed from these experiences! Several sister missionaries are already calling dibs on living in our basement after their missions, and we have extended countless invitations to missionaries to come over for dinner anytime they are in town. We deeply love these young men and women who love the Lord so much and who sacrifice so much to serve Him. What began as a way for me to feel closer to our son has ended in my heart expanding to include newly adopted sons and daughters who I dearly love! 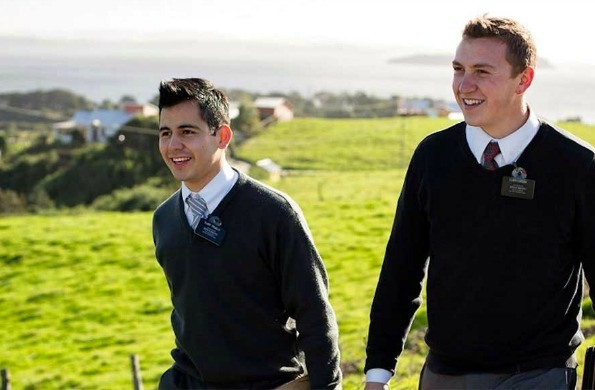 The lessons learned from a mission are not confined to the missionary. Our family has learned so much from this journey and I am so grateful for the opportunity I had to share our journey with you. Thank you. Thank you for your many words of kindness and for your support as this Missionary Mama traversed this new path of discipleship. A New Normal DO the Work, Faith Will Come Getting More Done In My Day Missionaries: Email Your Mama!